Hi Shelley! First up, what is your favourite way to catch up with a friend? I usually meet up with friends after work in London. There are some great craft cafés such as Drink, Shop & Do where you can do a fun craft activity like screen printing, while drinking cocktails and eating cake. Ideal! I'm a 26-year-old photography-lover and craft fiend. I work in PR by day, and blog about craft by night. I started my blog as a New Year's resolution a few years ago, to make sure that I was making the most of my free time, and learning new skills. Since then, I've fallen in love with the crafting and blogger community, and can't imagine not being involved in it. My life would be far duller for sure! I really enjoy it. What about the handmade item you are sharing with us? I've shared a picture of a DIY felt cupcake needle book that I made as part of the #CraftBlogClub Secret Santa. If you haven’t heard of it, #CraftBlogClub is a group of very friendly online crafters who share inspiration and advice during a Twitter chat every Tuesday, and we generally just have a good natter. This was Part I of the prezzie, as I also made a DIY cupcake pin-cushion ring to match. You can read the full tutorials on the blog. I have indeed heard of the #CraftBlogClub; I try to join in when I can. I'll have to pop over to your blog for a mooch. I love the colour. Are you a really keen on sewing? Do you often work with felt? 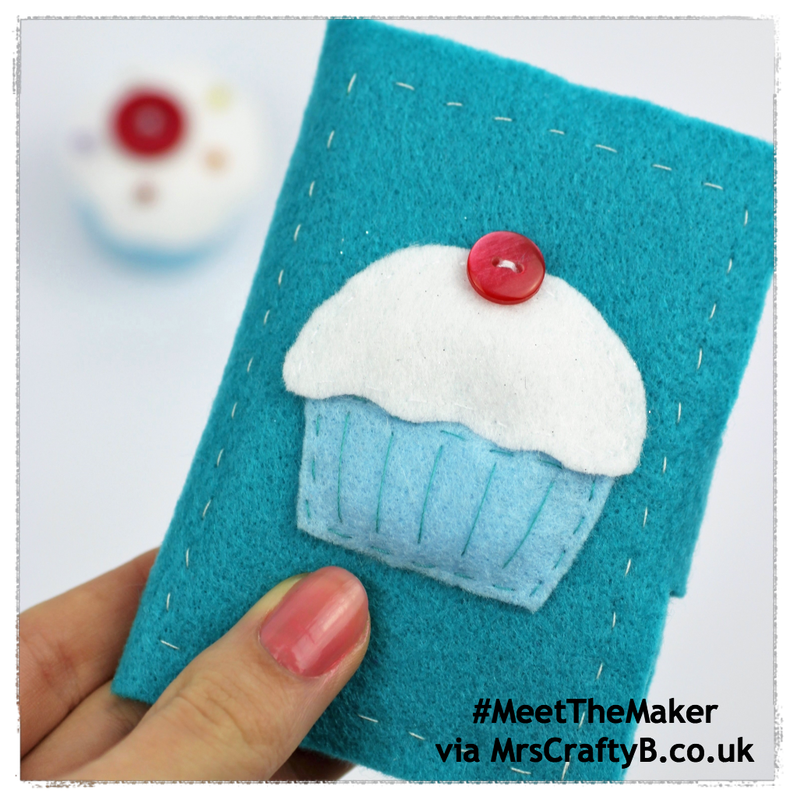 I'd never worked with felt before this project, but when I found out that my recipient was a fan of the Great British Sewing Bee, and the Great British Bake Off, a cupcake-themed needle book seemed appropriate, so I decided to give it a go. I found a couple of great tutorials online which gave me a good head-start, and I adapted these for my own design. I used to do cross-stitch as a kid, so I'm quite comfortable with sewing, and then for anything you don’t know, there’s Google! I love Google ha ha! Who or what inspires and motivates you? Fellow bloggers and creatives never fail to inspire me, especially when we all help each other. I love to go to maker markets and craft workshops to meet like-minded craft bods and make new things. As to what motivates me – myself I guess. 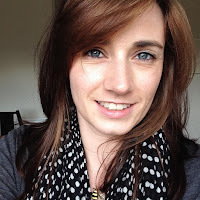 I’ve always been pretty self-driven, and there are always goals to aim for with the blog! The crafting community is great for inspiration. So where do you like to craft? I'm lucky to have a dedicated ‘craft room' in my house, right at the top, overlooking some allotments. It's not Pinterest-worthy, but it's practical, and I can store my huge craft stash. Sounds good to me! I am bored of taking over the dining table ha ha. Do you have a favourite craft? I’d probably say paper craft, as absolutely anyone can do it, and it’s so inexpensive! Plus its often simple handmade cards or tokens that mean the most to people. That said, my new year's resolution this year was to try my hand at new crafts, so I recently attended a beginner’s knitting workshop with Tea and Crafting and I’m on the look-out for a beginner’s sewing machine course. I like to play with all mediums on the blog, and have tried my hand at everything from jewellery-making, weaving, and macramé. Can you offer up any crafting tips? This year I’ve really enjoyed taking part in my crafty Twitter chats, as it’s a great place to find like-minded makers. 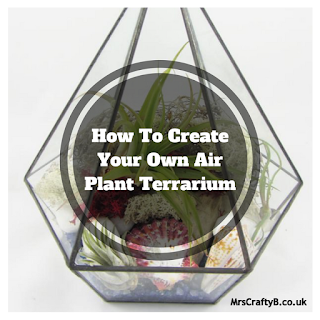 I’m also a big believer that simple crafts are often the best! Don’t over-complicate your crafts, and try and use materials that you already have around you. You can find me on Twitter, Instagram, Pinterest and Facebook. Hope you can join me! 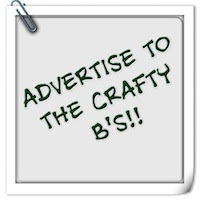 I most certainly will and I am sure the Crafty B's will pop and say hi! So what are your plans for 2016? There are no big plans as such, just lots of small steps! I’m always working towards something, so there’s sure to be lots more craft DIYs and event write-ups popping up on the blog over the next 12 months. I’m looking forward to a few big events, including Blogtacular in June, and The Handmade Fair in September. Fancy a quick fire round? What is your favourite crafty tool? Double-sided sticky tape. It might not sound glam, but you can use it on anything! Probably Fran from Fall for DIY, who not only has a beautiful blog with incredible tutorials, but has also launched the We Make Collective where you can subscribe to receive monthly craft boxes and inspiration. I’m also a huge fan of Hannah, the founder of the Crafternoon Cabaret Club which hosts fun craft workshops in London with a cabaret twist. Usually I forget to put music on, but I can hear my boyfriend playing computer games in the room behind me, battering the keyboard! Oo, anything chocolate, or cheesecakey. Lots of tea, but I wouldn’t say no to a hot choccie. Your favourite handmade item (owned by you made by youself or someone else)? I bought a moon pin-cushion from Oh No Rachio at the BUST Christmas Craftacular in December. It sits on my desk and makes me happy. I remember Rachel laughing as I squeeze-tested them all, as she said that her mum had got a little zealous with stuffing a few of them! That's what I love about handmade – that every item is unique, and there's a story behind it. I used to go on holiday every year to Dorset, so that ranks up there. We used to stay in a caravan in the middle of nowhere, and the summers always felt endless. I was really pleased to be named an Arts & Culture Finalist in the UK Blog Awards 2016 (winners announced in April). I’d like to continue to wave the flag for young crafters, designers and makers. I have lots of craft plans for the year ahead, so who knows what the future might hold! Well congratulations to you Shelley! That is really great news and a fabulous achievement. Keep us posted. Thanks so much for sharing with us and good luck with the awards. All the best things at once!